Wal-Mart Stores Inc. will pay $275,000 to settle a disability lawsuit in Federal District Court in Tennessee. The lawsuit claimed charged that Wal-Mart denied a 12-year employee of its East Tennessee distribution center #6039 in Midway, Tenn., a reasonable accommodation after he had cancer surgery, which left him with weakness in his right shoulder. 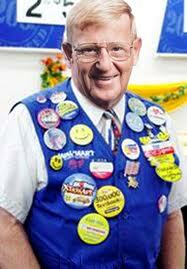 The suit also claimed that Wal-Mart fired him in retaliation for complaining about its refusal to accommodate him. The employee had successfully worked as a forklift driver after the surgery. He requested that Wal-Mart not require him to cover a 20-minute break in the shipping department because it would require manual lifting. Wal-Mart denied his request for an accommodation and instead discharged him, claiming he could not perform the essential functions of his job. Denial of a reasonable accommodation and retaliation against disabled individuals violates Title I of the Americans With Disabilities Act (ADA) as amended by the Americans With Disabilities Amendments Act of 2008 (ADAAA). Suit was filled by the EEOC on behalf of the employee after first attempting to reach a pre-litigation settlement through its conciliation process. This case was among the EEOC’s first lawsuits filed under the ADAAA. In addition to the monetary relief, the 18-month consent decree settling the suit enjoins Wal-Mart’s distribution center #6039 from further failing to provide reasonable accommodation, absent undue hardship, or following proper procedures for handling such requests per the ADA and ADAAA. In addition, the decree requires that Wal-Mart provide anti-disability discrimination training to its management staff; maintain records of any accommodation requests and furnish them to the EEOC; and post a notice to employees about the lawsuit that includes the EEOC’s contact information. Wal-Mart has revised and amended its accommodation policy, which it distributed to all employees, to address accommodation issues. Common Sense Counsel: There is a solid body of federal regulations, law and case authority that clearly obligates employers to provide an employee with a reasonable accommodation unless it poses an undue hardship. The EEOC is committed to vigorously enforcing the ADA and the ADAAA even against the largest retailer in the world. Over the past year the EEOC has filed more than 60 cases nationwide challenging disability discrimination. Employers must make decisions based on their employee's abilities, and not on their disabilities, or in this case a perceived disability. The interactive process uncovers potential accommodations, and good-faith participation in the process can strengthen an employer’s position against an ADA claim. It will always be the EEOC’s position that employers are obligated to engage in an interactive process with employees and provide reasonable accommodations for their disabilities.